In mesmerizing black enamel, the Classico Manufacture Grand Feu transforms the daily act of telling time. While the crafting of a white Grand Feu enamel dial is already a difficult process, producing one in intense black is even more complex. The selection of the enamel powder is crucial in determining the result: black can only be created by applying different and carefully chosen colored pigments to the substrate, giving the enamel opacity and depth. Only the incredible skill of the master artisans at Donzé Cadrans can bring a black enamel dial to life. It is very challenging to control the quality of an enamel dial, and each of the successive high-temperature firings poses a risk to the outcome. Patience is a must: as black reveals the slightest imperfection, the craftsmen and women take great pains to smooth the surface of the enamel in between each trip to the kiln, knowing that at any time, the slightest flaw could ruin all their efforts. After the enamel dial is polished to a high sheen, it is ready for the final operation: applying the Roman numerals in a contrasting color that reveals the full splendor of the Grand Feu enamel dial. But don’t be deceived by its elegant appearance – the Classico Manufacture Grand Feu has a practical heart too. Driven by the UN-320 manufacture movement, it allows for rapid date correction both forwards and backwards. The self-winding caliber is entirely designed and produced in-house at Ulysse Nardin’s Swiss workshop. 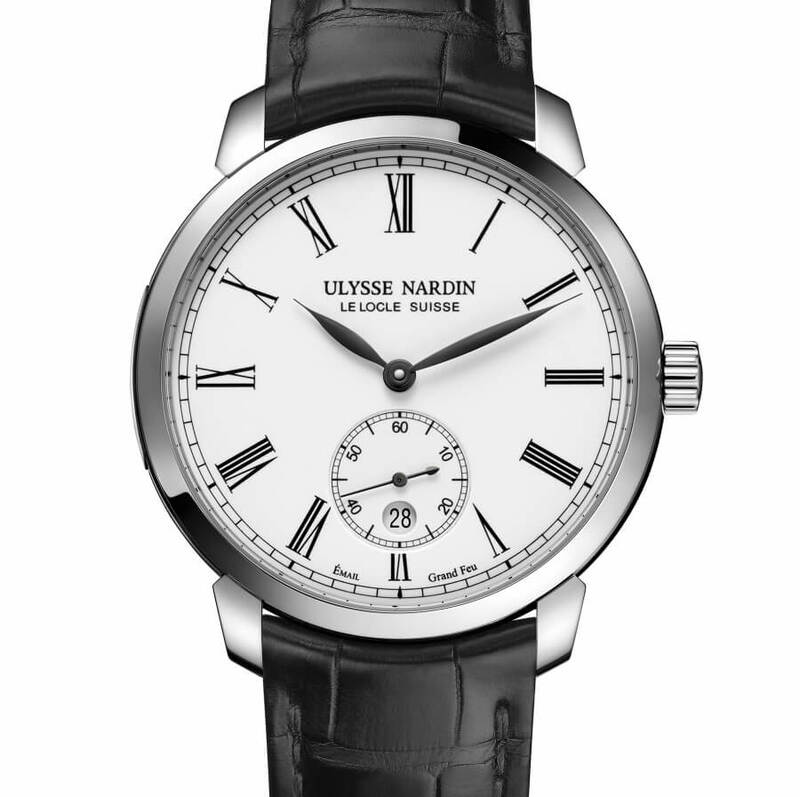 It makes precision use of the famous Silicium hairspring and anchor escapement, another Ulysse Nardin watchmaking triumph. It was the Swiss watchmaker who first understood Silicium’s potential in mechanical watchmaking, as the material is lighter, more durable and resists environmental changes in magnetism or temperature. 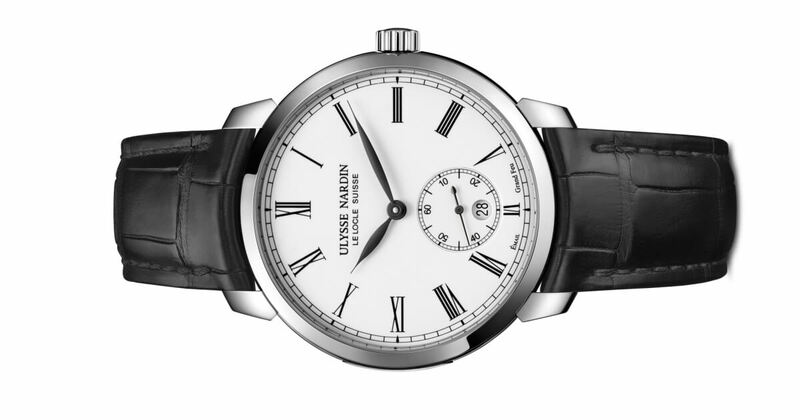 Housed in the distinctive case of the Classic Collection, with its rounded shape and slim lugs, this timepiece possesses the Classic’s iconic leaf-shaped hands, which delicately point to Roman numerals. The black Grand Feu enamel dial has white markers and hands, while the white Grand Feu enamel dial has contrasting black hands and markers. 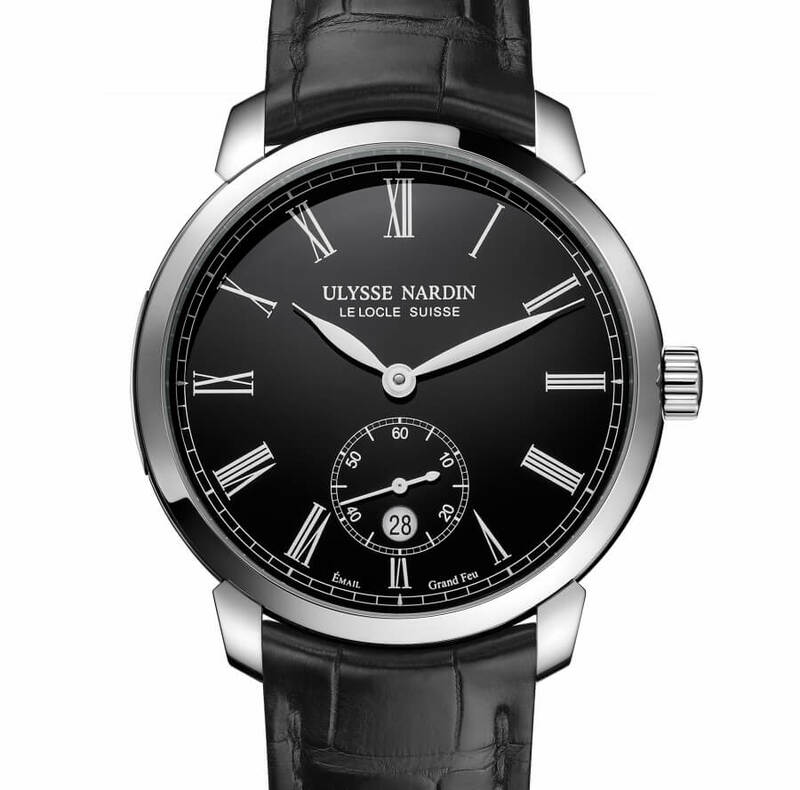 This covetable timepiece comes with a Ulysse Nardin Certificate, which means it meets stringent quality standards – for the performance of its mechanism, power reserve and other functions – that are even more demanding than those of the COSC. A true mark of precision and enduring quality. The unusual Classico Manufacture Grand Feu black, or the gorgeous Grand Feu white: each a memorable expression of the three Ulysse Nardin fundamentals of independent manufacturing, skilled craft and constant innovation.